Dom Mark Patrick Hederman to outline “a vision of what education should be”. The former headmaster of Glenstal Abbey School who is now the Abbot of Glenstal Abbey will be the keynote speaker at this year’s Le Chéile Schools Trust annual conference. Dom Mark Patrick Hederman is the author of The Boy in the Bubble which has been described as “a penetrating critique of the Irish educational system”. In it the Benedictine monk argues that education means leading individuals into the space of personhood. The theme of this year’s Le Chéile Schools Trust conference is ‘A Faith that Changes the World’. The gathering of representatives from Le Chéile Schools takes place on 6 February in Athlone. According to Dr John Scally, Faith Development Officer with the Le Chéile Trust, Dom Hederman will present conference delegates with “a vision of what education should be”. He explained to CatholicIreland.net that sometimes the media can portray “education in a very narrow way as just exams and the measuring of very specific competencies”, when it is also about “tapping into the full development of the person”. This is the first time Abbot Hederman has addressed the conference. Past speakers include Mary McAleese and Enda Kenny. 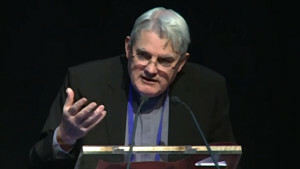 Fourteen religious congregations operate under the umbrella of the Le Chéile Trust, which according to John Scally has gelled well due to the huge amount of work done before the trust was established. “The foundation stones were very carefully placed over a five-year period before Le Chéile was set up in the first place,” he explained and added that “Unity in diversity” is the ethos to which Le Chéile subscribes. “There is one body but within that the distinctiveness and heritage of each of the congregations continues to be maintained under Le Chéile,” he said. A special feature of the conference is the presence of two student representatives from each Le Chéile school. The conference will be attended by over 100 student representatives and 100 adult representatives, including teachers and other representatives. A number of workshops will be held on the theme of the conference and a group of five teachers in the areas of drama, music, art and photography will work with the students over the two days to prepare a student presentation on the issues that emerge from the exploration of a faith that changes the world. “So the students are not just passive participants – they are actually feeding back into the conference,” Dr Scally explained.